MONDO | STADIA presents AGORA – a new event for 2019 focussing on sporting venue technology, the latest developments in the industry and future projects. Through panel discussions, case studies and expert keynote speakers, AGORA will explore the benefits of the latest technology, trends and techniques – analysing the impact it has and will have at modern stadiums and sporting venues around the globe. From enhancing the fan experience and modernising stadium infrastructure, through to the planning of ceremonies and events, AGORA will provide valuable insight that will help to increase knowledge and performance for stadium and sporting venue projects in the future. 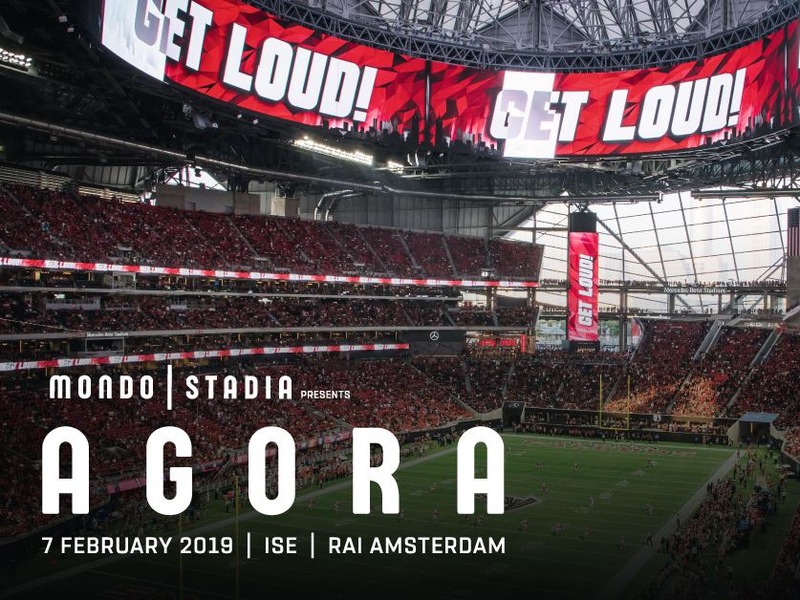 Taking place at ISE 2019, Amsterdam, AGORA will offer sporting venue managers and event organisers the chance to network with technology innovators and industry experts. The day will feature discussions on relevant case studies such as the Stade De France and Anoeta Stadium and keynote talks from Scott Willsallen of Auditoria and Dan Goldstein of AVIXA.